People with type 2 diabetes and obesity are known to more likely develop neuropsychiatric and mood disorders, such as anxiety and depression. 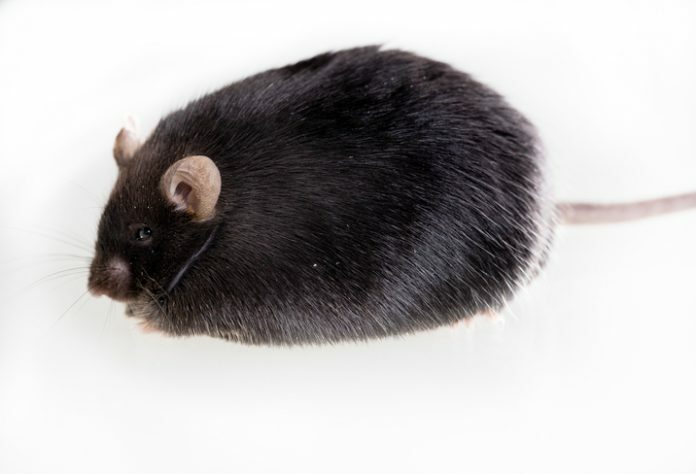 Work in mice by researchers in the U.S. and Japan now suggests that bacteria in the gut—the microbiome—may contribute to depressive-type behaviors in animals with diet-induced obesity (DIO). The studies, headed by researchers at Harvard Medical School, found that animals fed a high-fat diet (HFD) exhibited increased signs of anxiety, depression, and obsessive-type behaviors when compared with animals fed a standard diet. The HFD-fed mice also demonstrated decreased insulin signaling and increased inflammation in specific areas of the brain, as well as changes to levels of neurotransmitters and other metabolites that might affect brain function. Changing the animals’ microbiota by adding antibiotics to their drinking water reduced the signs of anxiety and depression, improved insulin signaling, and decreased brain inflammation. Over the last decade, evidence has been mounting that diet-induced changes to our gut microbiota can impact directly on metabolic factors such as insulin resistance and glucose homeostasis, as well as the immune response, the authors explain. Studies have shown how transferring the gut microbiome from obese mice or humans into germ-free animals can reproduce the metabolic abnormalities, while treating animals with prebiotics, probiotics, or antibiotics that change the gut microbiome can reduce insulin resistance and inflammation in mouse models. Obesity and type 2 diabetes are also linked with an increased risk of depression, anxiety, and dementia. “One potential contributor to these neurobehavioral abnormalities is the gut microbiome,” the authors state. To investigate this potential link further, the team carried out a series of studies in which groups of mice were fed either a HFD or a standard diet, and their levels of anxiety and depressive-like behaviors were assessed using four standard animal behavior tests. The results consistently showed that animals fed a HFD exhibited much greater levels of depressive- and anxiety-type behaviors, which could be reversed when they were given antibiotics in their drinking water. Microbiome analyses confirmed that the antibiotic therapy significantly changed the composition of gut microbiota in animals fed a HFD. “In a more detailed analysis of these data, we show that these changes in gut microbial composition are associated with different predicted functions of the microbiome and affect levels of a large number of metabolites in both cecum and blood of host, with some correlating with insulin resistance,” the team states. Higher blood glucose levels, marked glucose intolerance, and increased insulin resistance were also evident in the HFD-fed animals, and could also be reduced by treatment with antibiotics in the drinking water. Conversely, withdrawing antibiotic treatment in these animals resulted in blood glucose levels rebounding to even higher levels than those in the HFD-fed animals that had not received antibiotics. To find out the extent to which the improved metabolism in antibiotic-treated HFD-fed mice was related to changes in the gut bacteria, the team then transferred the microbiota from antibiotic-treated HFD mice and nonantibiotic-treated HFD mice to germ-free animals that had no natural microbiome. HFD-fed germ-free animals receiving bacteria from HFD-fed mice also started to show increased anxiety and obsessive behaviors, whereas control germ-free animals receiving bacteria from antibiotic-treated HFD-fed mice did not, even though they hadn't directly received antibiotics. “This proves that these behaviors are driven to some significant extent by the gut microbiome,” says Kahn. Further analyses showed increased levels of the inflammatory markers tumor necrosis factor-α (TNFα), interleukin-1β (IL-1β), IL-6, and IL-10 mRNA in HFD-fed mice, which could similarly be returned to normal using antibiotic treatment. “Overall, these findings support the hypothesis that gut microbes affect central inflammation in brain regions involved in behavioral and mood control” the authors write.